We've integrated with Rebrand.ly and Bit.ly so you can shorten and customize your links while sharing posts on social media. 1. Head over to Settings > Integrations and add connect your bit.ly account. 1. 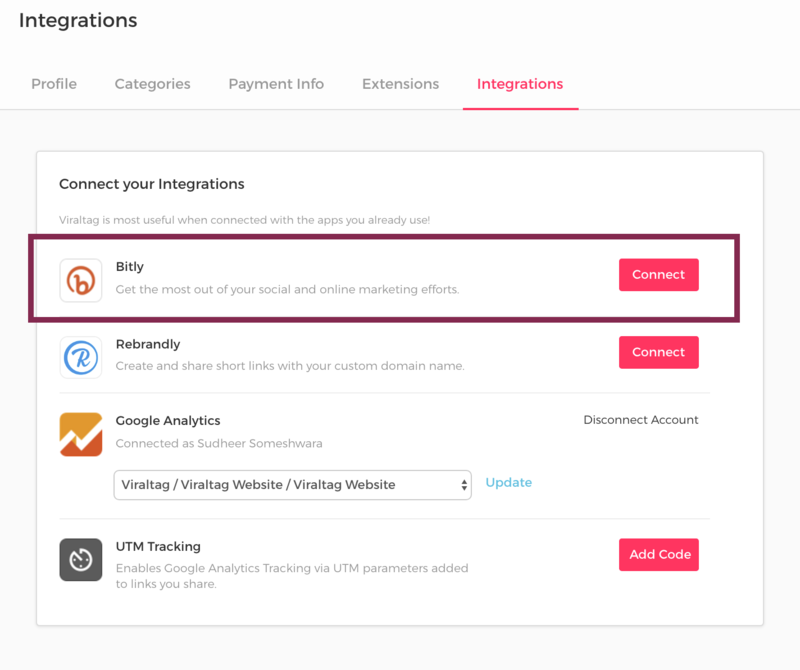 Just like for bit.ly, head over to ‘Integrations’ under Settings in your Viraltag dashboard, and connect your Viraltag account with Rebrand.ly. You have the option of choosing different custom domains for different campaigns if you have multiple custom domain links. 2. In addition to shortening your links, you can buy customized domains to brand your links as well. This increases link trust and brand identity.